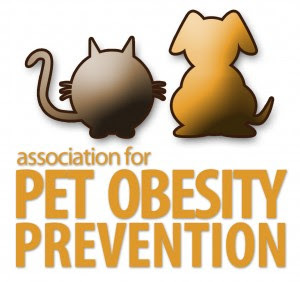 The “fat pet gap” continues to widen according to the latest nationwide survey conducted by the Association for Pet Obesity Prevention (APOP). The fifth annual veterinary survey found 53 percent of adult dogs and 55 percent of cats to be classified as overweight or obese by their veterinarian. That equals 88.4 million pets that are too heavy according to veterinarians. 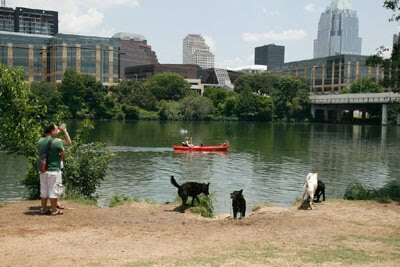 Perhaps even worse was the finding that the number of obese pets, those at least 30 percent above normal weight or a body condition score (BCS) of 5, continues to grow despite 93.4 percent of surveyed pet owners identifying pet obesity as a problem. The study found 24.9 percent of all cats were classified as obese and 21.4 percent of all dogs were obese in 2011. That’s up from 2010 when 21.6 percent of cats and 20.6 percent of dogs were found to be obese. “What this tells us is that more and more of our pets are entering into the highest danger zone for weight-related disorders.” says Ward. Treats continue to be a major contributor to weight gain in pets. An online poll conducted in October 2011 by APOP of 210 pet owners found 93 percent of all dog and cat owners gave treats. 95 percent gave a commercial treat with 26 percent reporting they gave their pet treats three or more times a day. “Treats are the silent saboteur of slimming down.” remarks Ward. “Those tiny treats are often hiding a significant amount of calories.” Ward suggests offering single-ingredient rewards or fresh vegetables such as baby carrots, string beans, broccoli or other crunchy vegetables. Only 49% of surveyed cat owners reported their veterinarian had discussed obesity and excess weight with them compared to 72% of dog owners. Even worse, only 46% of cat owners stated their veterinarian had reviewed nutrition or food choices compared to 86% of those with dogs. “This is a call to action for veterinarians; we must do a better job educating cat owners on obesity and preventive care.” says Dr. Ernie Ward. The survey was conducted at 41 US veterinary clinics and evaluated 459 dogs and 177 cats in October 2011. Veterinarians and veterinary technicians evaluated each pet to assess current weight, medical conditions, owner assessment of weight and body condition score. Over the five years studied, these results have proven to be consistent and increasing at a gradual pace.